Unexpectedly, four indie breakouts --"Woman in Gold," "It Follows," "While We're Young" and "Danny Collins"--actually placed in this weekend's Top Ten. While this unusual success is partly due to limp studio releases, it shows that the right films backed with smart marketing and reviews are finding audiences in theaters. More impressively, it comes at a time when home viewing options -- both from expanding Video on Demand and strong cable and PBS programming competition -- offer tempting alternatives. Is it a revival? Too early to say. The biggest limited opener of the year (replacing A24's own "While We're Young" just two weeks back) is even more impressive since its appeal -- a sci-fi genre entry with an A.I. storyline -- is younger and outside the recent parameters of specialized success. With a debuting director, up-and-coming but unproven stars (Swedish dancer-actress Alicia Vikander is steadily rising, while Oscar Isaac joins Domnhall Gleason in the upcoming "Star Wars" reboot), low-key festival presence (the movie broke out at SXSW), and little immediate appeal to the usual older audiences who usually sustain independent hits such as "Woman in Gold" or "Danny Collins," A24 showed once again that they are successfully pulling a selective younger crowd. Positive reviews helped, and trailer placement with "While We're Young" was a plus, but a classy, sexily intriguing premise and sci-fi smarts (its A.I. role-reversal plot is reminiscent of influential "2001: A Space Odyssey") has appeal on its own. Capacity limits in some of its theaters might have even suppressed this impressive gross. The difficulty in getting a young audience for a genre film like this can't be underestimated. A24 struggled with the acclaimed "Locke" and "Under the Skin" last year. Fox Searchlight, the wiliest distributor out there at the moment, couldn't get "Trance," "Another Earth," "The East" or "Stoker" to gain traction. 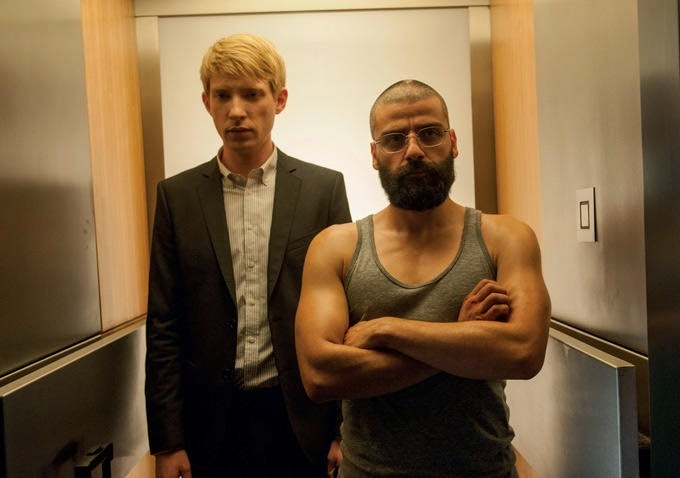 Somehow the more accessible and relatable "Ex Machina" managed to find the formula. What comes next: With the feast-or-famine studio release schedule over the next few weeks, there should be plenty of room to expand this a wide and quick as A24 chooses. This is an outstanding initial number for a serious, adult European production (the Olivier Assayas film is shot in English). Great reviews and acclaim for its pair of actresses (Juliette Binoche and Cesar-winner Kristen Stewart) as well as some familiarity with French director Assayas (regularly with IFC in the U.S.; "Summer Hours" opened similarly) all helped. But the strength of this number still comes at the high end of expectations for a film rolling out over nearly a year after its Cannes debut. It has elements -- Binoche challenged Assayas to write a drama for women, while "Twilight" star Stewart has a passionate female fan base-- with appeal to audiences. But it's tough these days to get crowds into theaters. That test has been met. Now in a suddenly improved specialized environment, this has standout future prospects. What comes next: This quickly expands to the Top 15 markets next week, with wider interest now guaranteed. Dimitrios Kambouris/Getty Frédéric Tcheng at the NY premiere of "Dior and I"
Once again, a documentary about a famous creative subject (in this case fashion) shows amazing initial appeal in Manhattan. This figure would be impressive enough even if it hadn't opened in two smaller, non-profit sites (Film Forum and Walter Reade) which had many sold-out shows on their single screens. This is a breakout film for relative newcomer The Orchard, and it comes with another film that didn't get a big festival push (its opening comes a year after its Tribeca premiere) and even had to overcome a tepid New York Times review. In other words, it has significant interest, at least in the center of the fashion world, and likely more ahead as it expands. What comes next: Los Angeles and Toronto open exclusively this week, with a planned expansion to 150 theaters by May 1. Iranian director Asghar Farhadi seemed to come out of nowhere with his Oscar winner "A Separation," but he actually had made several earlier features. This one came just before his breakout success, but is only now getting a theatrical release because of earlier rights issues. This story about a middle class family taking a vacation got among the best reviews of any film this year. Opening (again) at New York's small-seated Film Forum, it had a very strong debut. What comes next: This gross will get Cinema Guild elevated attention as they expand this nationwide. Ryan Gosling's directorial debut drew a mixed response at Cannes last year, leading to Warner Bros. taking the unusual (but not unprecedented) move of going Video on Demand with a parallel release in three New York/Los Angeles theaters. Aided in part by Gosling PR and public appearances at selected shows, this had a strong Friday, but then fell hard on Sunday. The openings got the film attention, but theaters are not its future. What comes next: VOD all the way, with hopes of some cult interest. This intense Italian Mafia family crime film got a strong response at its festival showings last year and decent reviews in New York, but it didn't translate into much business in its initial dates there (including the much desired Angelika). Once again, a subtitled release without a well-known director or actors struggled to gain traction. What comes next: Other dates are set in key cities, including the Nuart in Los Angeles on April 24. Relativity got some strong theater placement for the Iran-set dancing film (set during the recent Green Movement, giving this political overtones), but despite solid support, this drew little interest. What comes next: Not a big case to be made for much further expansion. The latest Telugu (Indian) release managed to place #13 for the weekend in the latest example of the growing market for films from this region. What comes next: It is playing where it has appeal, so not likely to expand much. Cinequest Closing Night film "5 to 7"
VOD came on this week, likely having some impact on this younger American man/older French woman romance that had a better than expected opening last weekend in exclusive New York/Los Angeles dates. These are not numbers that would encourage much wider theatrical play. One documentary about performers and the creative process that isn't connection is this one about The Who and the team behind them. The new runs confirm last week's weak response. This initially decent performing Chinese romantic comedy dropped about 50 per cent from last week. These are all estimates, since Adopt has not reported any figures since the start of the release of this ill-fated Emma Thompson written and co-starring English period drama. A majority of the initial theaters pulled after a week, and the rest provided a tiny total this weekend. This placed a respectable ninth overall for the weekend (one in which a lower total than normal got the position) as Al Pacino's aging rocker story is reaching its intended audience. The numbers, though respectable, are not close to the current success "Woman in Gold" (which opened to $500,000 more in about one third as many theaters) or "While We're Young," which grossed not much less in again about a third of the theater total. These are very solid expansion grosses for A24. With most theaters in their first week, they are a bit under two thirds of "Woman of Gold"'s gross last (holiday) weekend without the benefit of as much advertising. This clearly is headed for more growth -- even with this small number of theaters, it looks like it came in tenth among all films. This is playing so far bigger than any of director Noah Baumbach's previous releases (best entry "The Squid and the Whale" came in just under $8 million) and looks stronger early in the run than any of A24's several successes other than than "Spring Breakers," which got to $14 million. It's rare to see a subtitled film with an unknown director and stars reach this level, but give SPC (and the entertaining film's strong word of mouth) credit for putting it in position to get close to $3 million by the time its done. Almost as impressive as the unexpected total gross for this New Zealand vampire tale is the steadiness of its performance, now in its third month. This isn't going to quite hit $20 million (which in turn would be normally be a low total for a lead acting Oscar-winner in release during the awards' cycle), but as an low-budget indie film acquired specifically to win Julianne Moore her gold it has been a success for all involved. Five months into its run, Weinstein's 2014 awards contender has been maxed out and is about to end its very successful run. The PSA for Wim Wenders' co-directed doc about photographer Sebastio Salgado are about half of his hit "Pina" a few years ago, but as it widens the film is beginning to show some steady strength and promise of more interest ahead. Wim Wenders with Sebastião Salgado. Ethan Hawke's doc about a veteran piano teacher continues to do steady if at best middling business as IFC continues to expand it across the country. This "Fargo"-inspired comedy/drama continues to do modest but steady business despite having a lower profile and little advertising compared to many of its competitors.